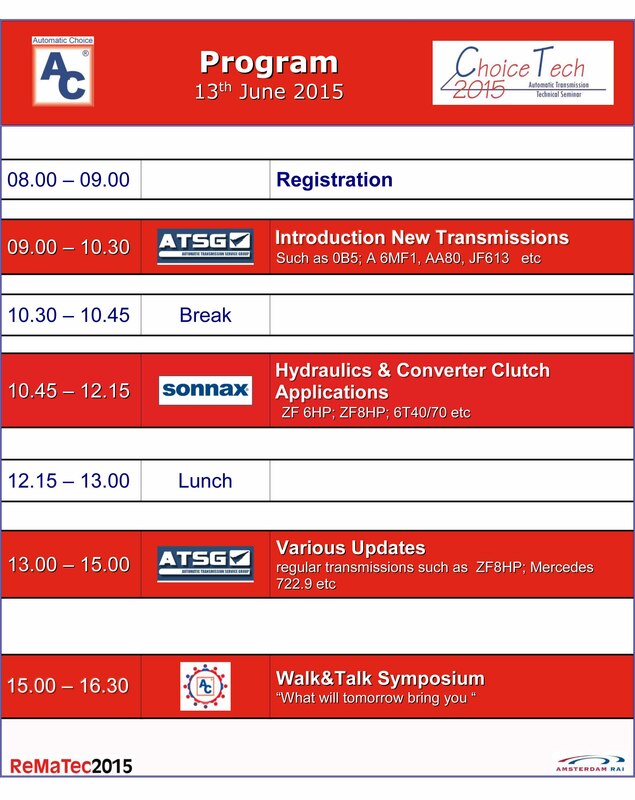 Always wanted to learn more on 0B5, A6MF1, ZF6HP/ 8HP , Mercedes 722.9 and many others? 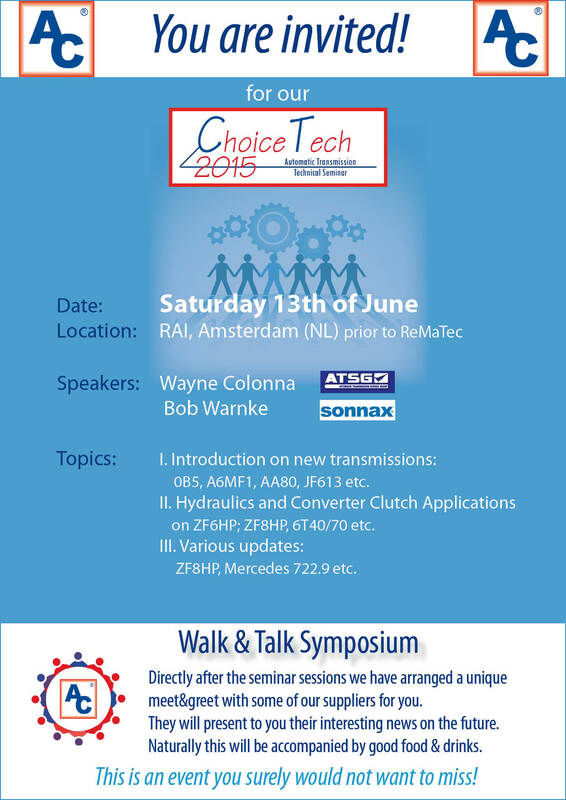 Register today for our next technical Choice Tech Seminar on Saturday 13th of June, the day before the superb ReMaTec2015 show starts. If the above form is not working properly, please fill in this registration form to register or contact us directly.